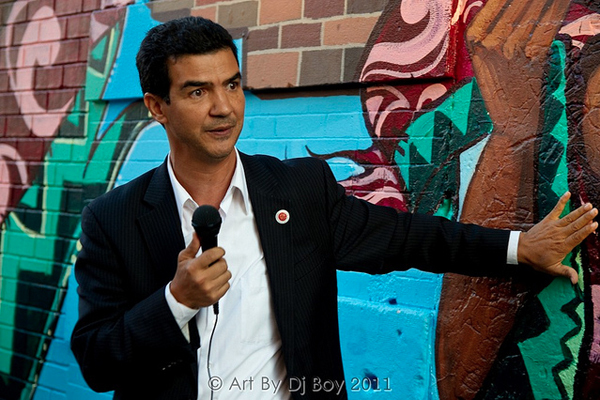 That’s right, Councilman Ydanis Rodriguez has $1 Million in discretionary funds to spend on capital improvement projects within the district and he is going directly to the people to find out how to spend it. The participatory budgeting process kicks off tonight at the Inwood Library (4790 Broadway) at 6 pm and continues on October 21st at the Fort Washington Library (535 West 179th Street) at 6 pm and on October 30th at the Washington Heights Library (1000 St. Nicholas) at 6 pm. Residents of the district can help with coming up with potential projects as well choosing delegates who will then develop those ideas into proposals. The proposals will then be voted on early next year. So there you have it folks – Democracy in action.